Summary: Super-convenient and super-portable, the NANO is a great board for those that only need to use a few pedals. Pros: Included gig bag has straps that make it easy to attach to a guitar gig bag or case. Includes enough fuzz to cover both rails. Nice. Tone Bone Score: 5.0 ~I recently decided to just use time-based effects (chorus, delay, and reverb) for my acoustic rig, and wanted a mini board that I could easily lug. The NANO totally comes through in this regard! I’ve got lots of pedals. Truthfully, I’ve got a LOT of gear. 🙂 And for a long time, I used just a single board and swapped out pedals depending upon the type of gig I was performing. But then there were times when I played both electric AND acoustic during the same gig, and so I’d have to compromise on what pedals to put on my board. Then I got one of those Wicked Woody pedal boards which supplanted my old Gator board, and that meant I could put my acoustic pedals on the Gator board. So last week when I purchased my Homebrew Electronics THC chorus pedal, I asked my trusty sales rep, Jordan, over at Gelb Music in Redwood City, CA if he had a small board in stock. He first directed me to the Pedaltrain Mini. That was a cool board, but I remarked that I didn’t need all that space. Then he remembered that he had just gotten a NANO in stock. I picked up the box, looked at the picture and said, “Sold. This is EXACTLY what I’ve been looking for since I’m only using three pedals for my acoustic rig.” So that’s how I ended up with the NANO. After having taken it to couple of gigs, I have to say that I just dig the convenience of this board! 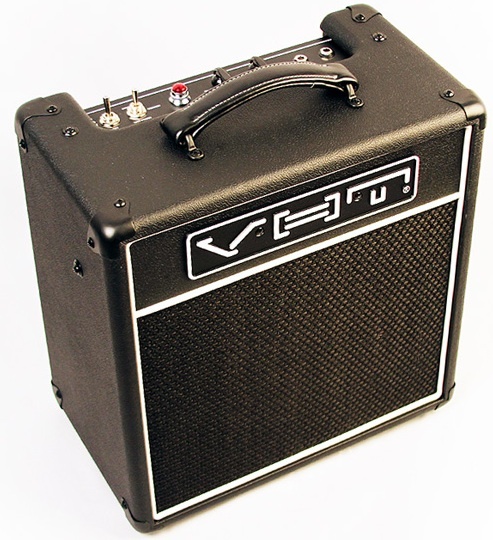 As you can see in the picture above, you can attach it to your guitar gig bag. The straps are actually long enough to wrap around the entire bag. This makes it so easy to lug around! There’s plenty of space underneath the board to run wires and do a neat job of it, as you can see in the picture I took of my board this morning. The rubber feet are a god-send! This board will not slip, which is yet another convenient feature. With the board itself weighing only 1 lb. it’s easy to lug. I recommend using a 1-spot with this board – this is what I use, and it keeps things neat while giving you plenty of cord to run to an outlet. At $49.95, you just can’t go wrong with this board. I love it! Now a real cool thing would be to have a powered version of this, but I’m not complaining at all. Besides that would just add some weight, and it’s great that this is nice, lean board. 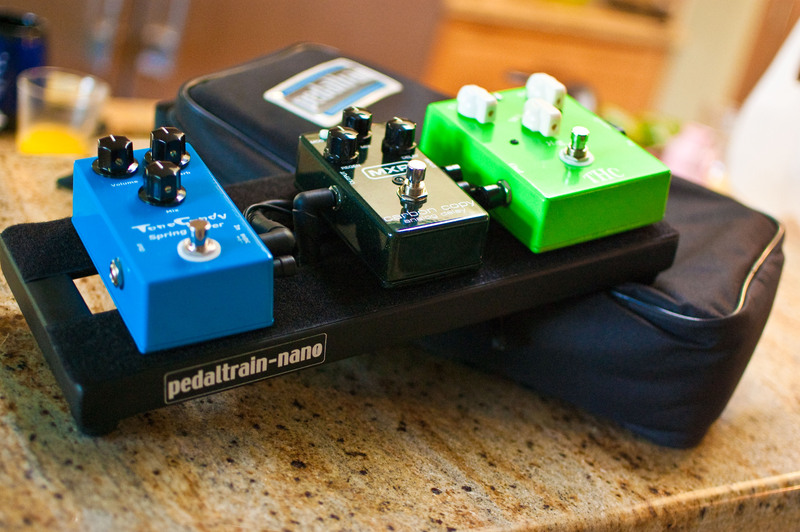 So if you only use a few pedals at most, this is definitely a board you should consider!